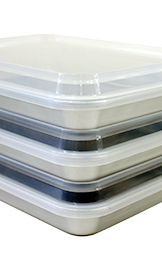 It is stacked solidly with high precision stacking. 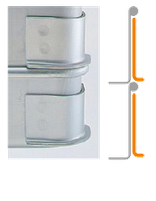 This product prevents lateral shift and is good for carrying. 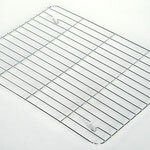 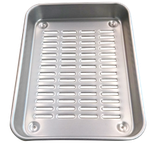 We made the bottom metal fittings in L shape design so that the middle tray can be easily pulled out. 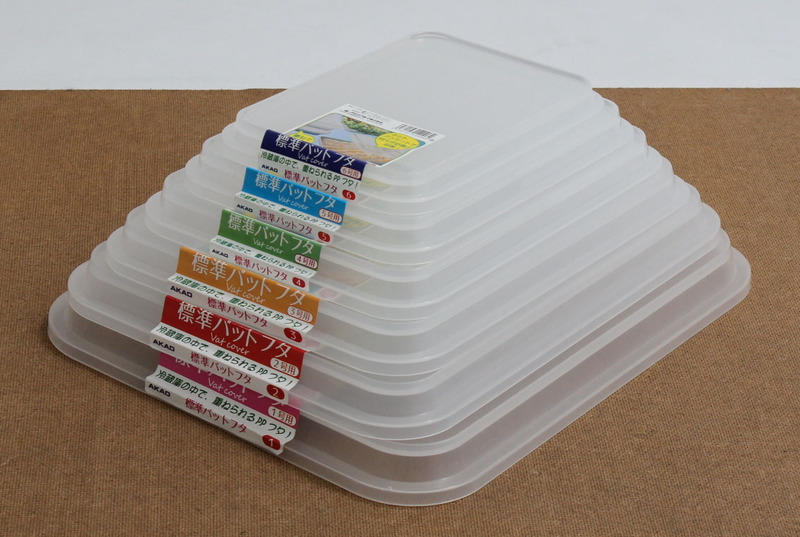 Since there is no protrusion at the bottom, it is easy to put in and take out of the refrigerator. 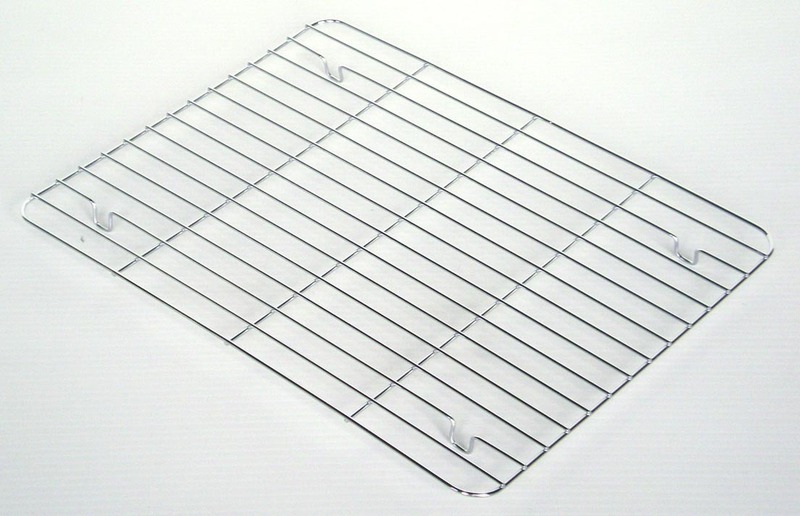 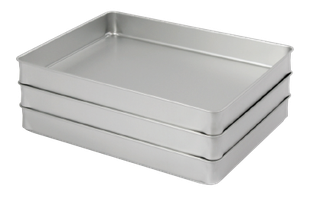 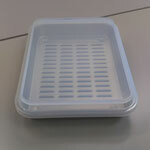 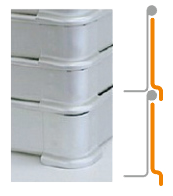 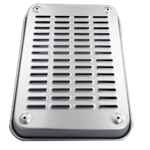 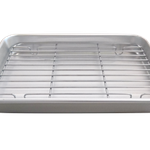 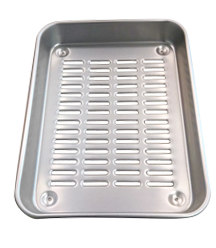 This product is developed as a system tray without metal fittings. 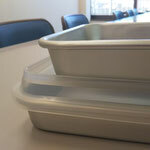 It is easy to keep clean and light. 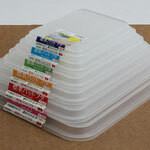 It also can be stacked with system trays . 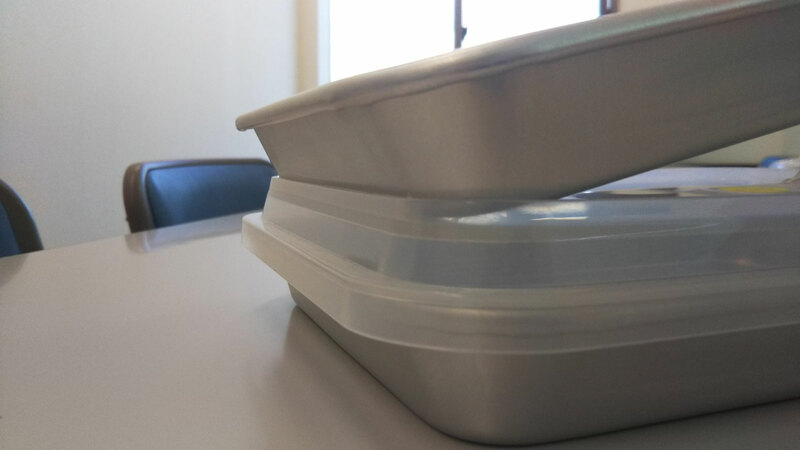 Lid can be used for both. 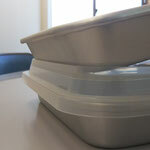 Food odor doesn’t adhere easily. 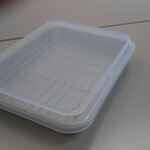 It’s easy to wash and keep clean! 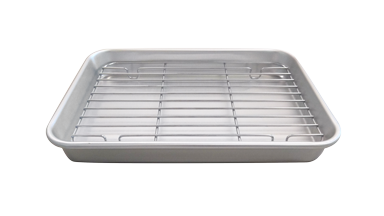 Aluminum products have high heat resistance, so you can disinfection by hot water, and use them clean and safe! 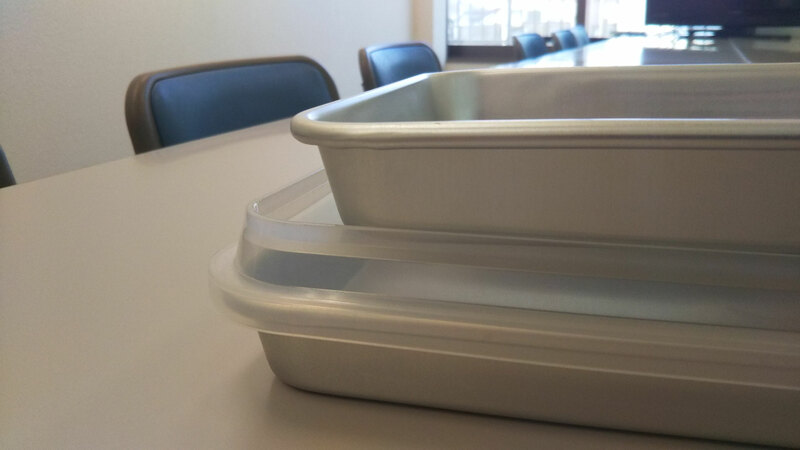 You can freeze and thaw the food quickly with better thermal conductivity than plastic or pottery! 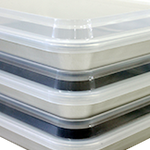 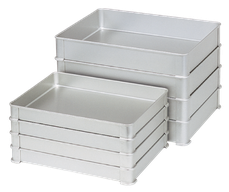 You can stack trays with the lids on. 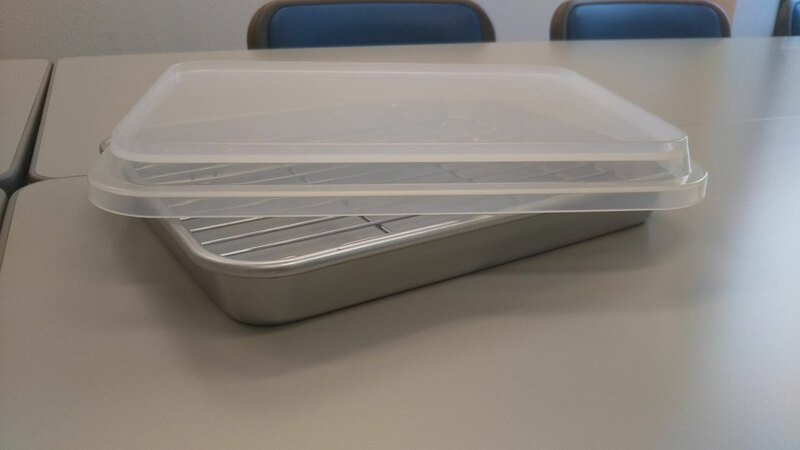 You can quickly put the lid on in the middle of preparation. 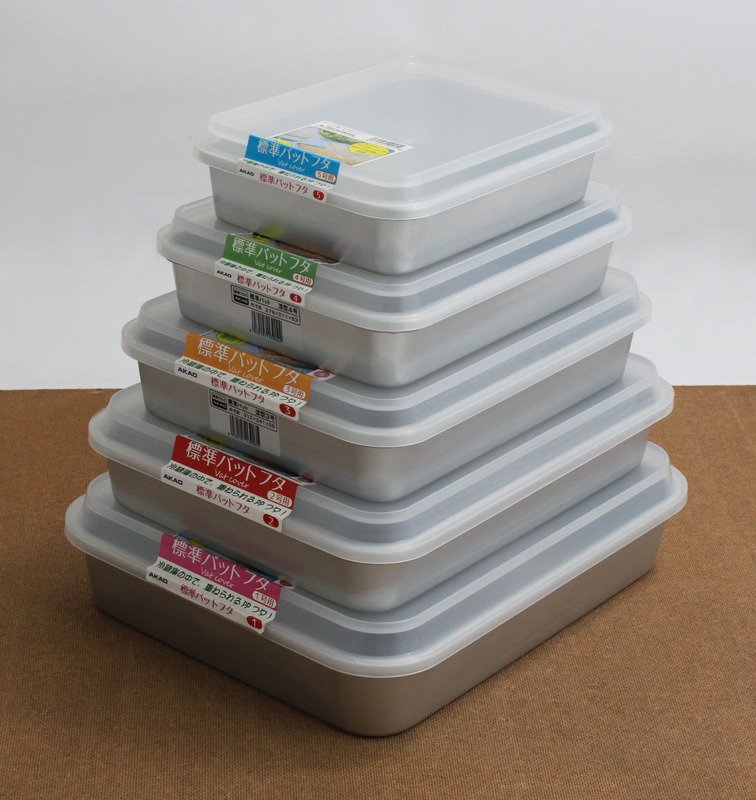 Moreover, it is convenient to see inside ! 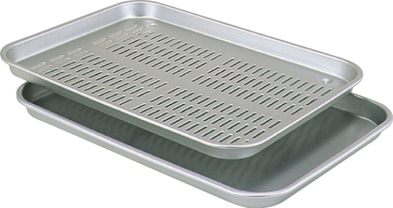 Since there are 4 corner holders at the bottom, it is used as a drainer when uses in standard batter tray. 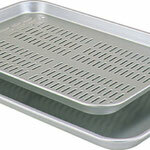 It’s also best for storing fish to drain the juices. 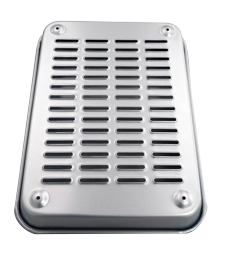 Made of nickel chrome plating (iron). 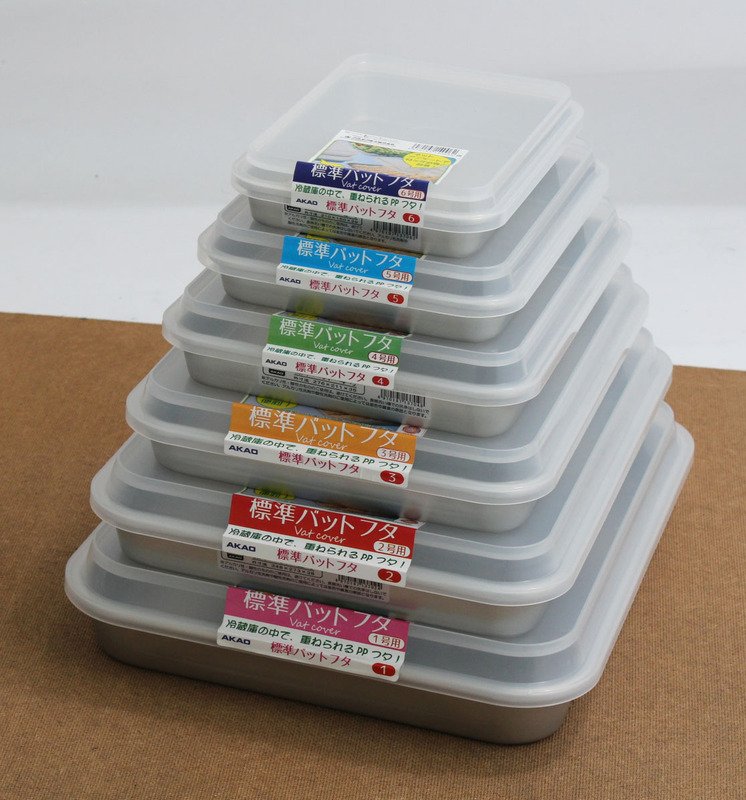 Convenient when storing deep-fried food in standard tray. 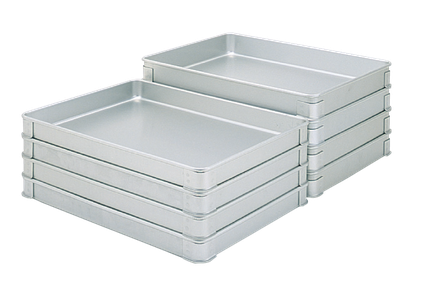 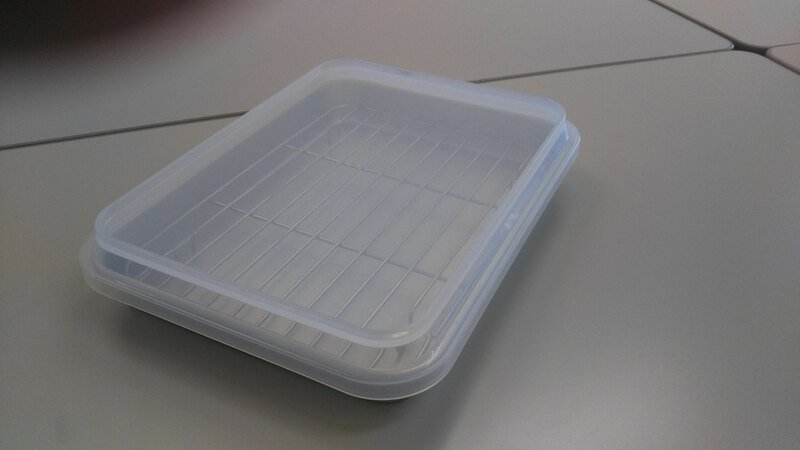 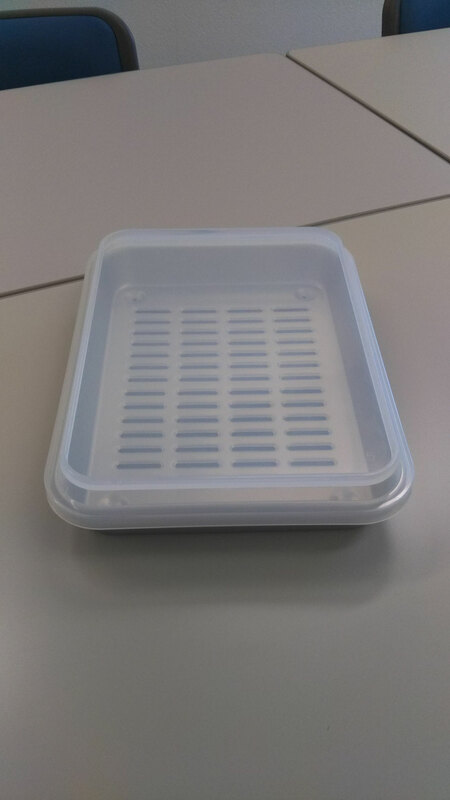 Since the standard tray lid is also raised in height, you can store food without worrying about the capacity even if you put the wire mesh in.